The first paid research subject in written history? 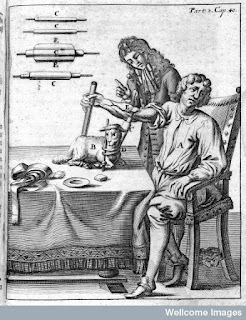 On this date 349 years ago, Samuel Pepys relates in his famous diary a remarkable story about an upcoming medical experiment. As far as I can tell, this is the first written description of a paid research subject. According to his account, the man (who he describes as “a little frantic”) was to be paid to undergo a blood transfusion from a sheep. It was hypothesized that the blood of this calm and docile animal would help to calm the man. Equipoise. 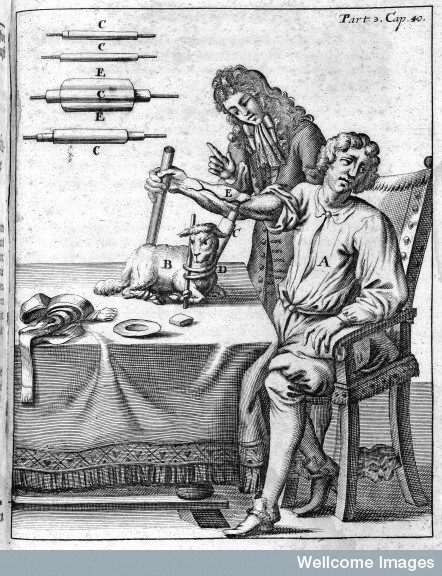 There is explicit disagreement about what effect the experimental treatment will have: according to Pepys, "some think it may have a good effect upon him as a frantic man by cooling his blood, others that it will not have any effect at all". Results published. An account of the experiment was published just two weeks later in the journal Philosophical Transactions. Medical Privacy. In this subsequent write-up, the research subject is identified as Arthur Coga, a former Cambridge divinity student. According to at least one account, being publicly identified had a bad effect on Coga, as people who had heard of him allegedly succeeded in getting him to spend his stipend on drink (though no sources are provided to confirm this story). Patient Reported Outcome. 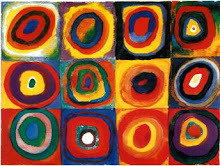 Coga was apparently chosen because, although mentally ill, he was still considered educated enough to give an accurate description of the treatment effect. The Man after this operation, as well as in it, found himself very well, and hath given in his own Narrative under his own hand, enlarging more upon the benefit, he thinks, he hath received by it, than we think fit to own as yet. …and in fact, a subsequent diary entry from Pepys mentions meeting Coga, with similarly mixed impressions: “he finds himself much better since, and as a new man, but he is cracked a little in his head”. The amount Coga was paid for his participation? Twenty shillings – at the time, that was exactly one Guinea.